It’s holiday shopping time! 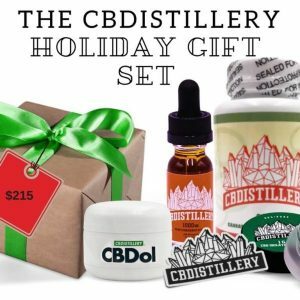 And if you’re like us, you’re on the hunt for some last-minute buys in order to send some love to the cannabis enthusiasts in your life. That’s why we’ve put together this holiday gift guide with a number of marijuana-related products that may pique your interest. Fortunately, you can get your shopping done this year without standing in line at the department store — or racing to grab the last product on the shelf. There are plenty of online stores selling marijuana products this year. While we can’t make you a batch of pot brownies or stave off political conversations at the dinner table, we can point you in the right direction when it comes to gifts online this holiday season. The products on our holiday gift guide range from $15 to $275, giving you a number of options for stocking stuffers or bigger, under-the-tree items. 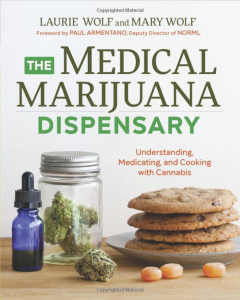 We’ve also included different types of products, from vapes to cooking books. Looking for a dispensary near you? Use our cannabis price comparison tool to find marijuana deals near you! If you’re in the market for a portable vaporizer, the Davinci IQ Vaporizer is worth serious consideration. This intelligent vaporizer uses a 100% ceramic zirconia air path to deliver pure flavor. With its Smart Path technology, this allows the user to select from four different temperature settings, so you can tailor your vaping sessions. It also offers bluetooth app integration. Promo: Free shipping on all orders of $15 or over. Use code “FREESHIPPING17” at checkout. Have you ever tried to infuse cannabis into butter or oil? Not the easiest. But the Levo Oil Infuser takes a lot of the strain out of infusing. The device uses controlled heat to infuse oils for ointments, topical creams, balms, body scrubs and more. Plus, it’s dishwasher safe for easy cleanup. If you’re tired of hand-grinding your buds, this battery-powered herb grinder can make life much easier. Plus, it has a “pollen” catcher, so you won’t waste any of your cannabis product. 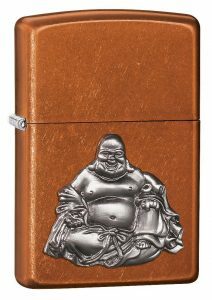 No guide we put together would be complete without a Zippo Buddha Lighter — one of our favorites. And let’s be honest, a good lighter can be your best friend, especially in social situations. In the market for a stocking stuffer? 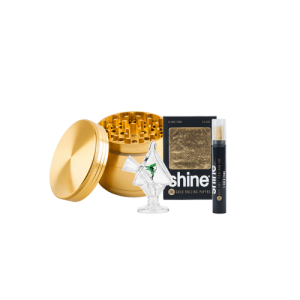 Pick up The Shine Bundle from VapeWorld.com. 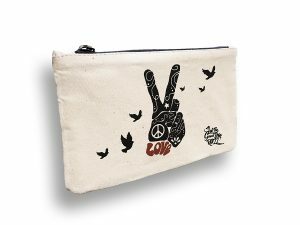 It has everything the cannabis enthusiast in your life might desire. 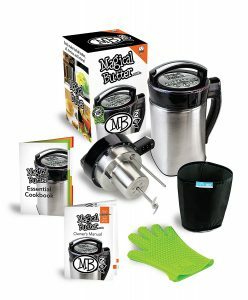 The Magical Butter Machine has been the staple in herbal infusion technology for quite some time. 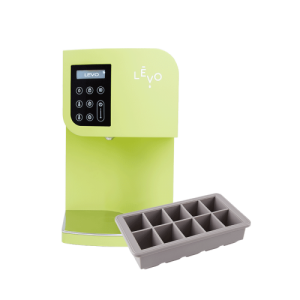 If you’re not sold on the Levo Oil Infuser, but you’re still in the market, the Magical Butter Machine should certainly make your list. And it comes with a cookbook to boot. 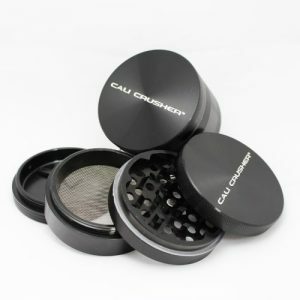 Every cannabis consumer needs a great herb grinder, and the Cali Crusher is top of the line. In fact, it’s one of the top rated grinders on Amazon, with 200+ reviews. Keeping the smell to a minimum when you stash cannabis in the house, or when you’re traveling with it, can be a challenge. That’s why it’s nice to have an anti-order and smell-proof bag around. We dig this one from Let The Good Vibes Roll.